Nyan Umbreon sings a really cute song while flying through space. 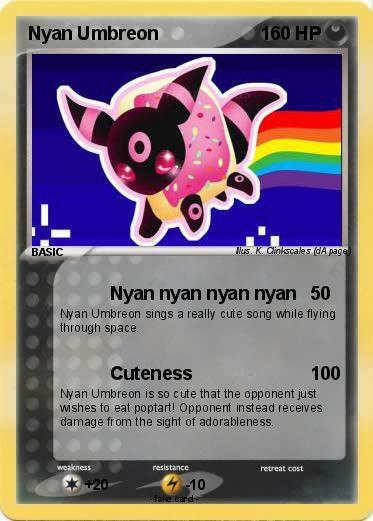 Nyan Umbreon is so cute that the opponent just wishes to eat poptart! Opponent instead receives damage from the sight of adorableness.